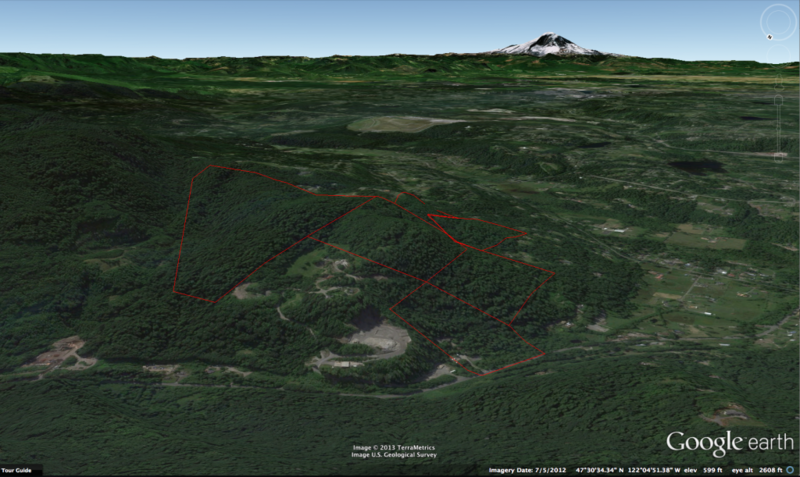 Due to the great work by High Valley resident Francois Rouaix using Google Earth, we now have an amazing interactive map and flyover of the proposed logging area. This is something you must check out — it really hits home how extensive and destructive the clear cutting would be. Jump to the Google Earth view page now! Issaquah Reporter’s Linda Ball has a front-page story on the Squak Mountain logging permit application in Wednesday’s issue. The article features an interview with our own Cathy Brandt who stressed the importance of long-term planning instead of short-term gain. Erickson Logging says it intends to refile the application for a logging permit. The effort to Save Squak from clear cutting is not over. Click here to read Linda Ball’s full article in the Issaquah Reporter. The King County Water and Land Resources Division of the Department of Natural Resources and Parks has sent a letter to the Washington Department of Natural Resources expressing its serious concerns about the Erickson Logging permit to clear cut portions of Squak Mountain. King County called the proposed clear cut area exhibits slope instability and called it a sensitive area. The county asked for a complete geotechnical review and convening an interdisciplinary team with community representation. The King County Department of Permitting and Environmental Review sent a letter on March 11, 2013, to the Washington State Department of Natural Resources expressing its concern about the environmental impact of the proposed logging of Squak Mountain. DDES pointed out to DNR the historical flooding problems in May Creek and called for a thorough evaluation of the proposed logging project prior to granting the permit. Mar 6, 2013, Linda Ball of The Issaquah Reporter writes about the logging permit application filed on Feb 26. “The process is working as it should – the state forest practice board will review the application extensively with an inter-disciplinary team looking at all issues and the public will be able to have their input as well,” said county commissioner Reagan Dunn.